We specialize in Deep Pit, Chicken, Steaks, Tri-Tip & Mexican Entrees. 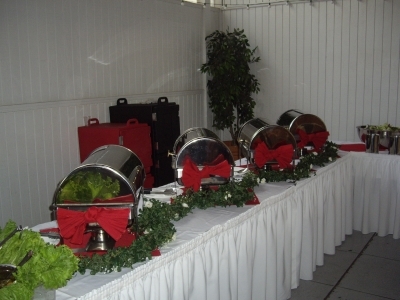 All foods are prepared [The Catering Specialist] fresh the night prior to and the day of the event. Chili beans, salsa's, marinades, etc. consist of only the freshest ingredients. Absolutely no canned products are used in the cooking process. Food temperatures are focused on carefully to ensure a hot meal is served to all guests. Our flavorful meals reflect the use of fresh products and fine ingredients.